There are many things that can be said about many men in this world. We as humans strive to be reputable in remarkable ways as we journey through this life. Crucial’s story is simple, yet by the mighty hand of our Lord, his life has been made remarkable and quite interesting. 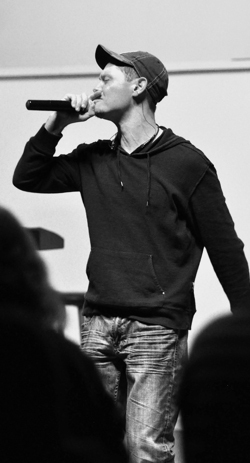 While Crucial began attending a local community college, drugs became a big issue. Crucial started by smoking a little weed here and there to experimenting with hallucinogenic drugs, cocaine, pills and so forth. Crucial even began to hustle a little and would break into houses, steal merchandise to pawn and buy drugs with, etc. “I was on the move between 5 different towns and had turned away from my family. There were nights I had to sleep in my car out on the streets somewhere. 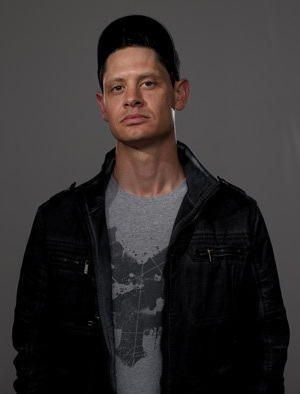 It was NOT fun.” Crucial eventually dropped out of college, quit composing music, and had pretty much just given up on all the dreams and goals he once had. Not to mention, he had lost the respect (not love) and trust of his family, burned a lot of bridges, devastated the girlfriend he had at the time, took advantage of everyone he knew, and broke way too many promises to feel like he could ever be worth anything again. Drugs, streets, and the ways of a dirty man began to be all he knew and all he cared about. Then came that one fine day; the day that Crucial decided he was sick and tired of the life he had been leading; the day that he finally realized he had hit rock bottom and could not sink any further into the downward spiral. It was on that day that Crucial meekly and wearily lifted his head up to the sky and called upon the One we all know as the Lord our God; the Alpha and Omega, Beginning and End, Maker and Creator of Heaven and Earth. Crucial cried out and asked his Heavenly Father to pick him up out of this ditch and place him on his feet again so that he may know how to live a better life. Crucial soon gave his life to Jesus Christ and began learning how to live for Him. “It’s like I was a baby again and had to start from square one. Gradually I became disciplined, more responsible and trusting. Gradually I earned the respect and trust back from my family. Gradually I learned how to be a man and gained wisdom to know exactly what it was God wanted me to do with my life.” The Lord spoke to Crucial about using his experiences and gift of music to reach others and spread a VERY important message to anyone who is willing to listen. Crucial was then called out into the wilderness to work with at risk youth. “I lived outside in the woods with these boys for five days a week at a wilderness treatment facility; working with them, giving advice, and listening to their life stories and struggles. I was also able to keep a journal of my experiences and reflect on my own issues, as well as evaluate what kind of person God really wanted me to be.” Crucial worked at the treatment camp for almost 3 years, gradually piecing together a recording studio, and establishing himself in the ever growing music industry. In October 2004, Crucial opened up “Slyworks Publishing” music publishing company through BMI in Nashville, TN and established Rock Solid Records as an independent record label in Charlotte, NC. It is acknowledged by us time and time again that we are what the Lord calls “fishers of men”. Music is only the bait. A certain kind of bait to reach a certain kind of fish. Crucial brings some of Rock Solid Record’s finest bait in hopes of fulfilling his calling to build upon the Kingdom of God and to encourage and strengthen other believers. The message is “crucial”. We are living in crucial times. Crucial times call for crucial measures. . . If you would like to donate to this ministry, click here.